Welcome to School of Rock 2016! You must take it apart to put it back together. Our XPress has been in need of some tlc for quite a while now. This small but heavy (over 50 pounds) contraption is generally used for crushing and breaking apart hard samples, extremely hard samples. It is also about as old as the ship itself and has certainly stood the test of time. On my previous expedition I regularly had to apply pressures of over 10 tons to the many samples I was receiving from scientists every day. The gauge on the XPress indicates it can crush up to 35 tons of pressure but I’ve never seen it get that high as that would be incredibly unsafe and would certainly result in some explosions and broken tools or even ear drums. They don’t make ’em like they used to and our XPress is an extinct species, I mean product model. For us this means taking good care of the one we have since spare parts for it don’t exactly exist anymore. Seven technicians and a lab officer made it light easy and dare I say fun (perhaps my coworkers disagree) to paint the floors. After our long days working in the labs it’s refreshing being able to get out on land in the evening time. Minh is our newest addition and he is on board as a marine computer specialist and will be sailing on the next expedition with us. 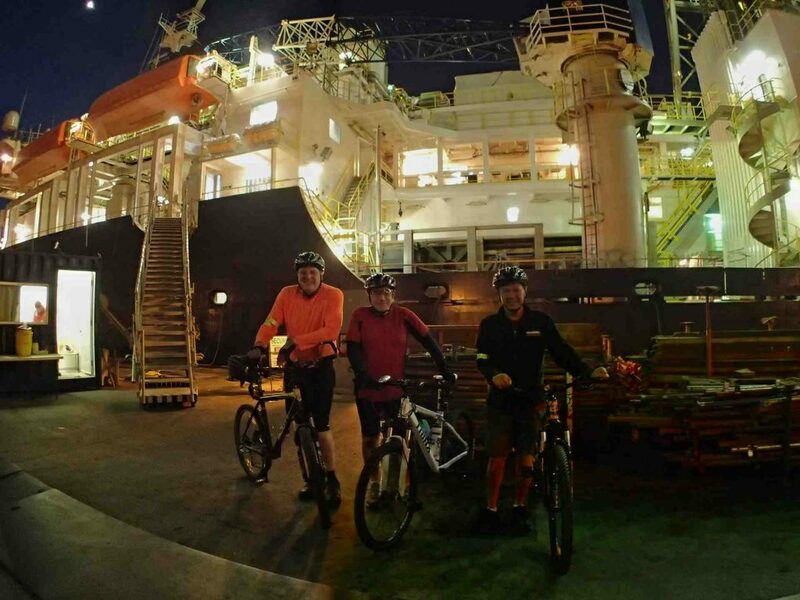 Minh has thoroughly embraced the opportunity to explore and purchased a bicycle so he could join the Captain and our Lab Officer on their evening bike rides.